Do you wish to make a business out of your love for wild and wilderness? Do you wish to make people believe that your service is entirely dedicated for caring sick, injured and an uprooted animal? 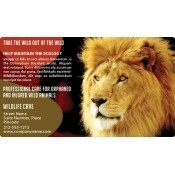 Look no further; find your purpose by indulging in our best-selling custom wildlife care magnets. 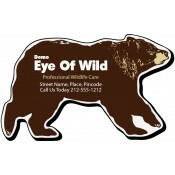 Made from high quality stock material, these wildlife magnets offer large imprint space and shelf life for your business information. You can imprint your logo, contact address and graphics in your preferred color. Human infringement on wild habitats have been documented and discussed over the years. Today, governments and individuals around the world are taking wildlife care seriously than before. With government and public support, wildlife rehabilitation centers are mushrooming across the American landscape like never before. In reality, these centers are overcrowded and there is always requirement for the new. 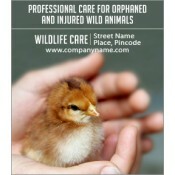 Existing and new wildlife care businesses have to work hard to manage their integrity and build trust. 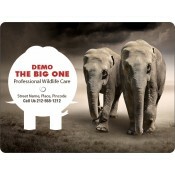 Our versatile promotional wildlife care magnets will aid such wildlife care businesses to make impact with their reliable attitude. We understand that wildlife care is a complex term and it includes various services aimed at wildlife welfare. This is why we have put up a thoughtful selection of wildlife fridge magnets in this category. Our past industry experiences and market research has helped us to shape this category featuring customized rectangle and square magnets, paw shaped magnets, animal shaped magnets, etc. 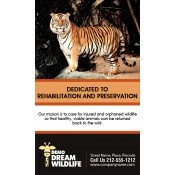 It does not matter whether you are looking for promotional magnets to promote your wildlife rehabilitation center, animal rescue organization or trying to spread awareness through wildlife rescue magnets and wildlife conservation magnets, our team will be happy to serve you. You have liberty to choose from our vast collection of oval magnets, circle magnets and custom shaped magnets to form your branding strategy. You can share your artwork at art@CMagnets.com or upload it at the end of order confirmation page of the product. 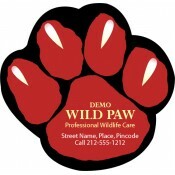 Avail free full color printing on animal and pet care magnets. Save on shipping, art set up, online design proof and efforts because their rates are included. To know more about wildlife refrigerator magnets, their customization, pricing and expected outcomes, feel free to contact our team at info@CMagnets.com or call us at 855-762-4638 (Toll Free).